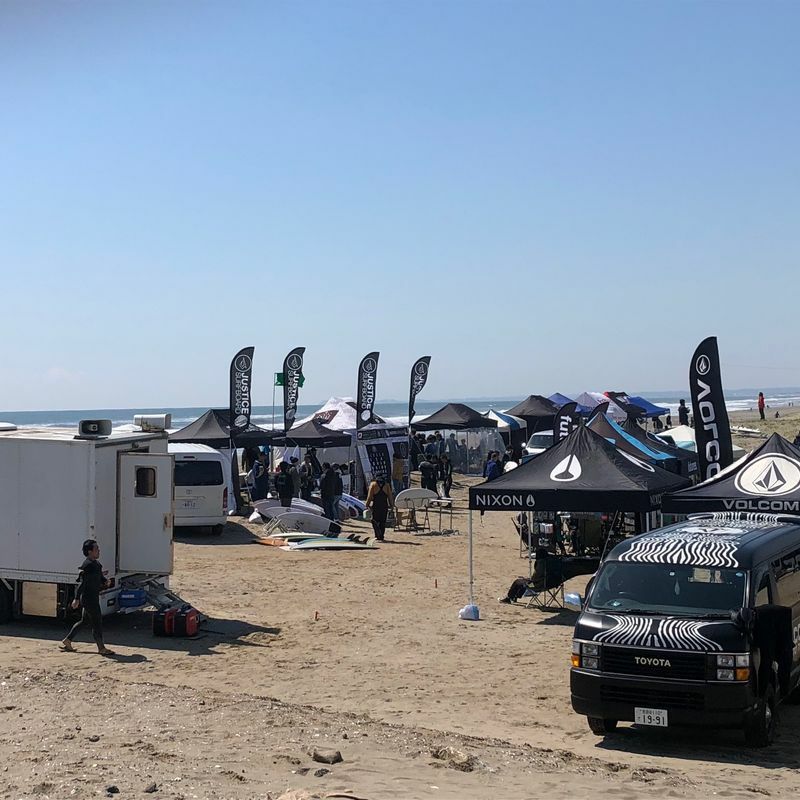 There’s usually at least one weekend in the year when I turn up at my regular surf break, Kujukuri in Chiba, to see that a surf contest is getting set up and ready to start. And that was the situation this morning. The name is in fact an expression of the beach’s length -- “ku ju ku / 99” and “ri” an old Japanese unit of length. Anyway, the point being that a surf contest can be held here without causing too much disruption to regular Kujukuri surfers like me. There’s plenty of room to go around. I quite like that they (and I don’t know who “they” are) hold a contest at my regular break. It’s an affirmation of a kind, that the waves that I regularly surf are contest worthy even if my own surfing is emphatically not. Except the waves a Kujukuri are rarely contest worthy when these contests are on. Like today. 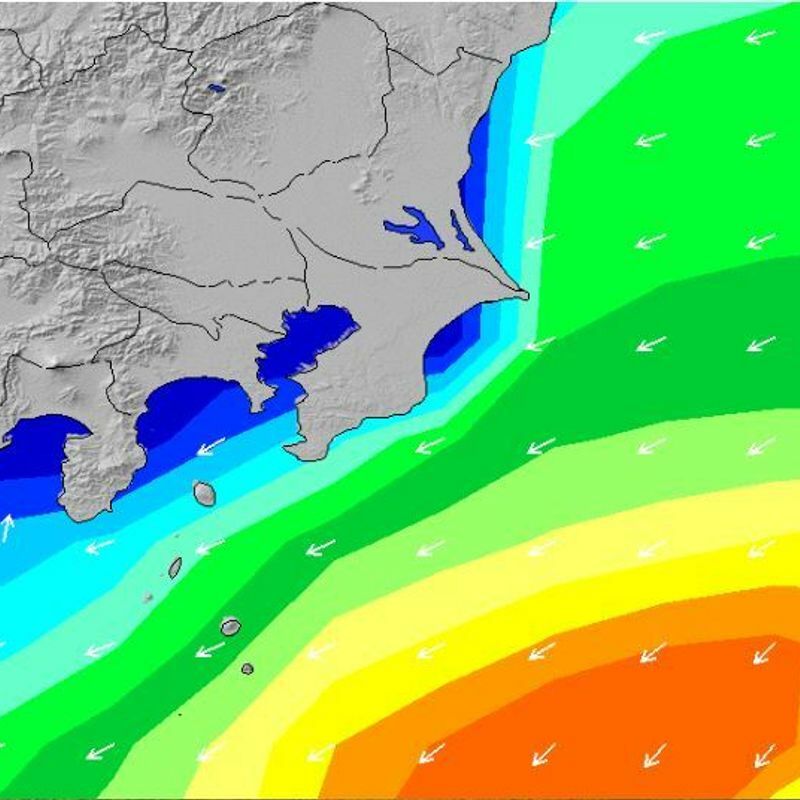 The charts may have looked promising, particularly with the passing of a storm on Friday night but cross-shore winds and strong sweeps left surfers on Saturday morning having to choose between a thumping, dumping shallow beach break, or a tiresome paddle out to sea to catch bigger swells that were only breaking occasionally. The judges had a hard time, not least because they had to keep trudging down the beach to stay in sight of surfers getting swept along the coast. I feel a bit awkward strolling around the contest area at Kujukuri (as much as it can be called a “contest area”). 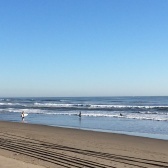 I’m always the only “gaijin” in the surf here but with the wetsuit, waves and water I feel kind of anonymous. In the contest area though, I’m self conscious. So, I had a quick look around and bought a couple of Byron Bay meat pies from a stall. It’s been years since I last went to eastern Australia’s granola-eating backpacker hot spot so I’m not sure what was “Byron” about these pies, but the name was enough to bring back some younger, freer memories. 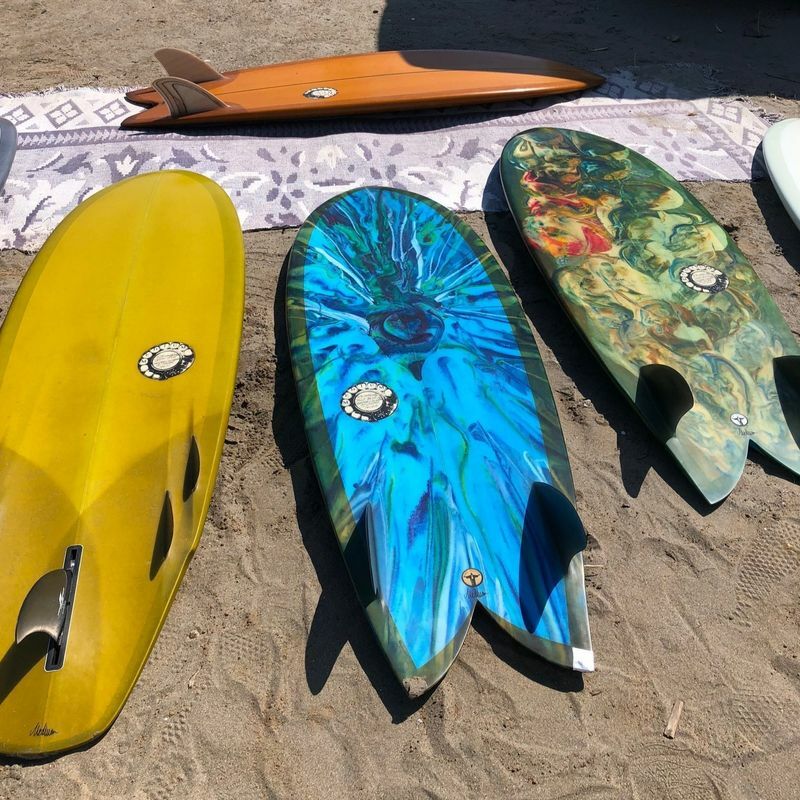 Aside from my awkwardness another thing that the Kujukuri contest highlights is that black seems to be the default color choice for Japanese surf culture. 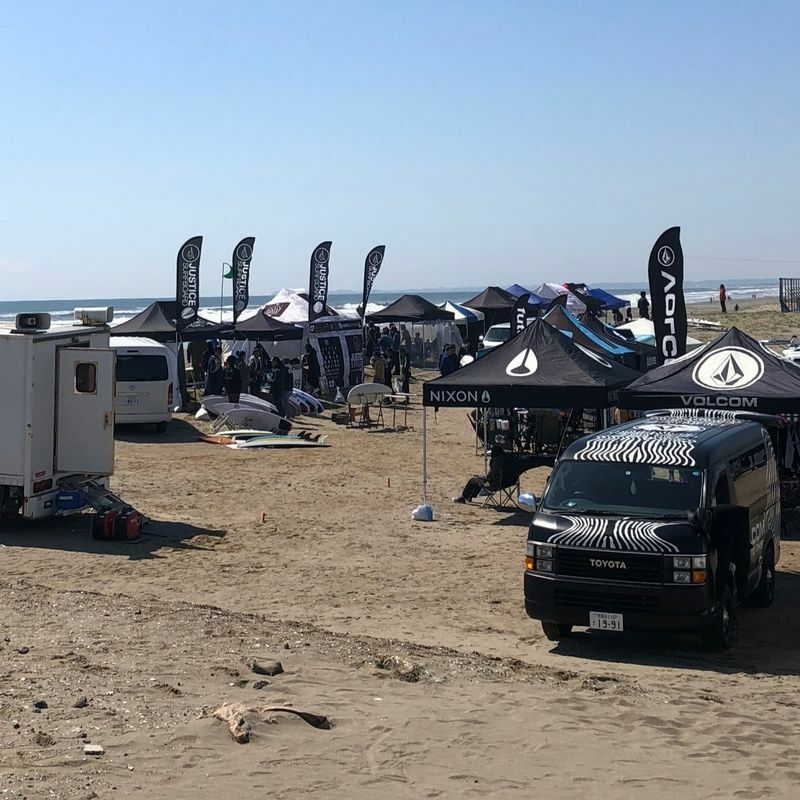 Black baseball caps, black Ts, black shades (fair enough), black brand flags and contest tents, but most importantly a black van as the surf wagon -- typically a Toyota Hiace with tinted windows. It’s the Japanese equivalent of the Volkswagen van … only instead of looking hippy and grungy it looks intimidating and gangsta. Maybe then I’d fit in a little more if I traded in my own “surf wagon,” a white, k car, Daihatsu Move! Well, trade it in and hand over hundreds of thousands of yen on top! I think I’ll stay with feeling awkward for now. After all, Kujukuri will be back to business as usual next week.